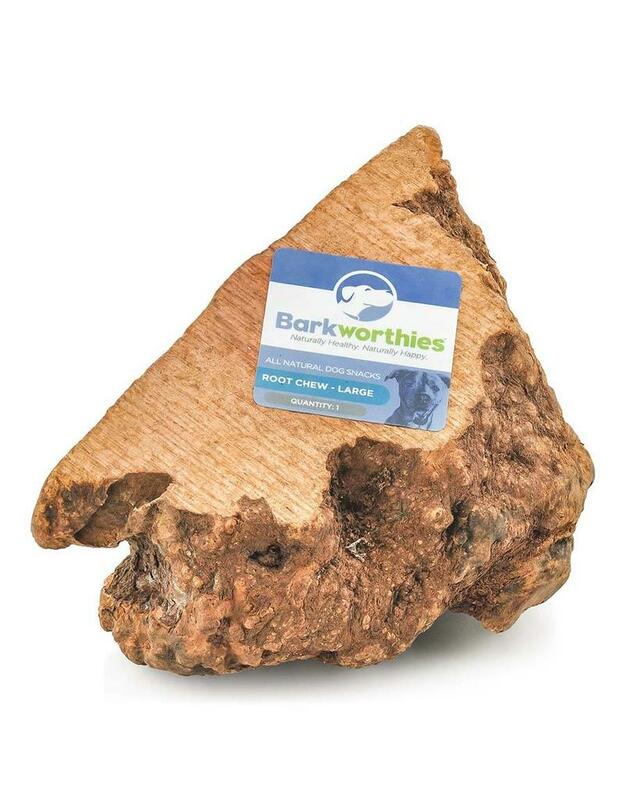 Barkworthies Large Root Dog Chew Toy are all natural chews made from the bark of harvested Araack trees that won’t splinter. These 100% organic chews help fight plaque and tartar buildup as well as freshen your dog’s breath. Plus, they’re packed with potassium and calcium oxides to help strengthen tooth enamel. They’re long-lasting, single-ingredient chews that are the perfect alternative to rubber or plastic dog chews. Plus, they offer a great solution to unwanted behaviors like gnawing on furniture. Great for dogs of all sizes!